The much-awaited WEY VV7 makes its first appearance in the Chinese charts in June. Today we pay special attention to the new locally-produced launches in China so you stay aware of the latest development in the fastest-evolving car market in the world. In June, the Chinese market is back into positive territory and fittingly, the number of new launches goes from just three last month to eight. If you thought Chinese carmakers had exhausted their SUV opportunities now that they hold almost 60% of the segment, think again. This month, all new launches are Chinese and five of them are SUVs! 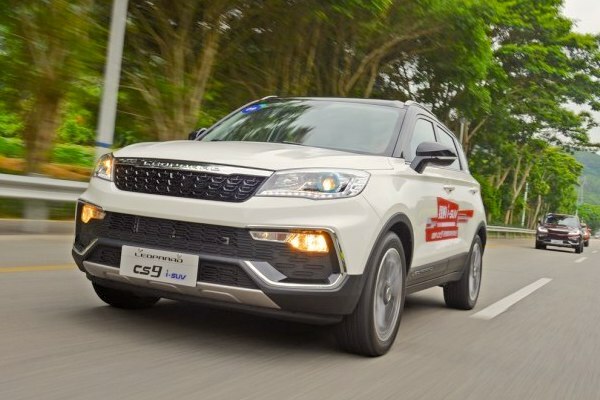 Changfeng Leopaard has waited over two years to add a smaller sibling to the very successful CS10 that put the brand on the map. The brand is on a roll, with the CS10 posting its three largest monthly volumes in the past five months, and the CS9 already starts with the highest volume of all newcomers this month. Double that and Leopaard will be happy with the launch. At 4.315m long and priced from 76.800 to 116.800 yuan (US$11.300-17.300), the CS9 enters an extremely crowded marketplace and competes with the likes of the Haval H2, Soueast DX3, Changan CS35 and BAIC Senova X55. It is powered by a 1.5L 122 hp Mitsubishi engine coupled with a five-speed manual or a CVT, with a 150hp 1.5T scheduled also. But the main attraction of the CS9 is its 12 inch touch screen, the biggest in its segment, that gives the cockpit an air of Tesla. Given the momentum the Leopaard brand is enjoying at the moment and its roots as sturdy Mitsubishi Pajero rebadges, the CS9 will – as it was the case for the CS10 – enjoy a widespread success across the nation, whether it be in the cities or the countryside. If it doesn’t cannibalise the CS10 (89.800-146.800 yuan), the CS9 could hit an even higher mark. We fix the success bar at 6.000 monthly units. Adding to the S2mini, the S2, S3 and S5, JAC launches the Refine S7 SUV this month. If we described below Leopaard being on an upward trend, the complete opposite is true for JAC, down a harsh 40% year-on-year over the First Half of 2017. The brand is therefore in need of new models fast, but this S7 might be a little too big to generate the volumes that could reverse the downward spiral the brand has fallen into. The S7 is logically the largest SUV launched so far by JAC but this won’t last long as there are even larger ones in the works. Working for it, the Refine S7 sports a spectacular front design and a very original interior. 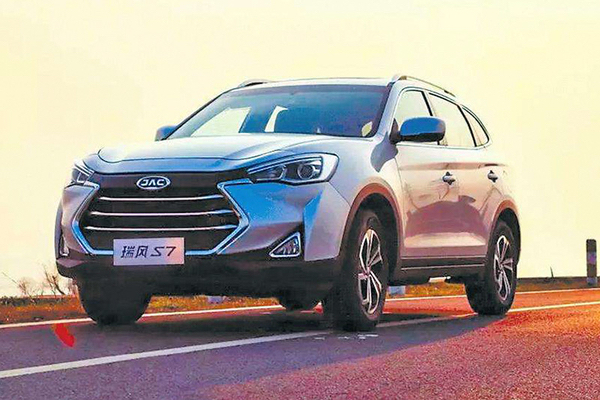 At 4.80m long, coming in 5- or 7-seat options and priced from 97.800 to 173.800 yuan (US$ 14.450 – 25.700), the Refine S7 competes with blockbusters such as the Haval H6 – the overall SUV segment leader, the Geely Boyue, Roewe RX5 and Changan CS75. This should lift the hopes for Refine S7 volumes pretty high, however JAC’s specialty until now has been with much smaller vehicles such as the tremendously successful – until this year- Refine S3. It remains to be seen whether the brand can extend this success to larger vehicles. The engines are reasonably powerful: a 174hp 1.5T and a 190hp 2.0T, both coupled with a six-speed manual or DCT, repackaging the engine lineup of the Refine A60 sedan. It’s finally here. Last November at the Guangzhou Auto Show, Great Wall Motors revealed WEY, its new premium SUV brand positioned above Haval. Its ambitions were to compete with Lexus, Infiniti, Lincoln and Volvo, however this first offering sets the bar a lot lower as we’ll see further down. But first a bit of trivia. 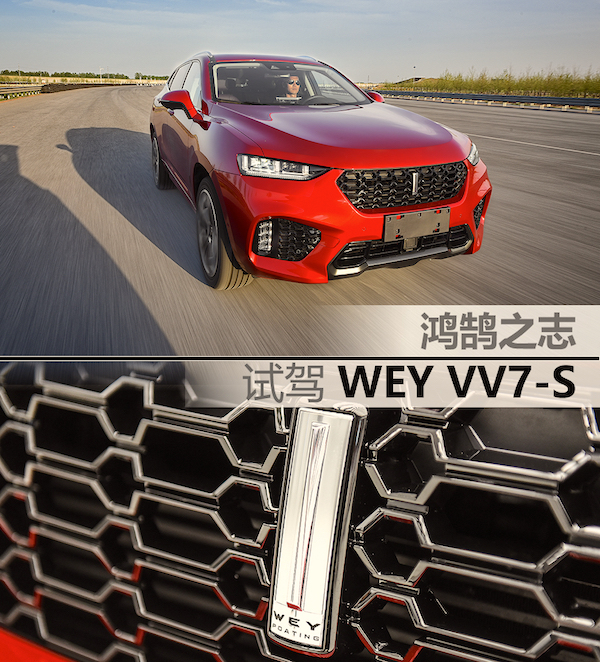 The WEY brand name unabashedly refers to Wei Jianjun, the founder of Great Wall Motors. It also refers to the State of Wei, an ancient Chinese state during the Warring States period (475-221 BC) which led to the Qin state’s victory as the first unified Chinese empire known as the Qin dynasty. Great Wall’s headquarters are located in Baoding in the Hebei Province which was once part of the State of Wei. Great Wall is using the old Wade Giles Romanisation system that spells Wei, Wey and Baoding, Paoting – hence that word also appearing on the logo which represents the flagpole in front of the local government house of Baoding City. The much-awaited first WEY nameplate is the VV7. It comes in basic (VV7c) and sporty (VV7s) versions, with prices ranging from 167.800 to 188.800 yuan (US$24.800-27.900). This is where the WEY brand starts to feel a lot less premium than its ambitions. This price range positions it right into Haval H7 territory (149.800-193.800 yuan), below the H8 (188.800 start) and the H9 (209.800 start). 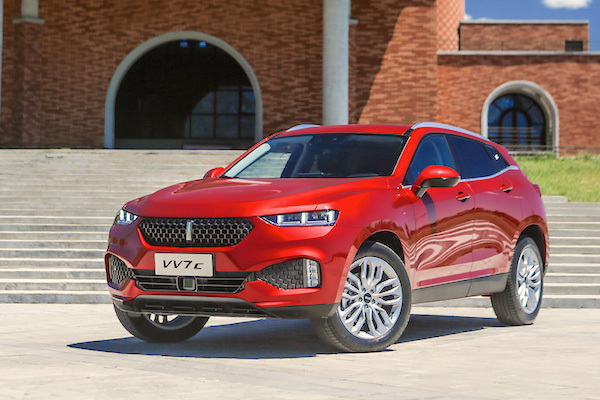 Among Chinese competitors it goes against the GAC Trumpchi GS8 (163.800-259.800) admittedly much larger, the Borgward BX5 (149.800-216.800) and the Qoros 5 (139.900-194.900). 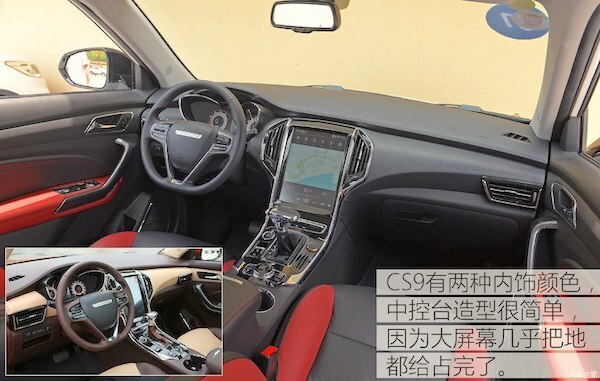 Local publication Autohome.com.cm pits it against the much cheaper Zotye T700 (106.800-155.800) as a valid alternative in terms of sophistication… As for foreign competitors in price, they range from the Nissan Qashqai (139.800-189.800), Kia Sportage (144.800-189.800), Peugeot 3008 (140.700-207.700), Mitsubishi Outlander (159.800-223.800), Honda CR-V (169.800-259.800) and Toyota RAV4 (179.800-269.800). Hardly premium brands although a fight with the mainstream foreigners may be all Great Wall was after after all. For comparison, the similar-sized SUVs by brands listed by WEY as its competitors are for the Infiniti QX30 249.800-389.800, the Lincoln MKC 298.800-458.800 and the Lexus NX 318.000-599.000. At 4.749m long, the VV7 is built on an extended version of the new Haval H6 plaform, itself an updated variant of an old platform that underpinned the previous generation H6. In terms of engine, the VV7 utilises the same 230hp 2.0T as the H7/H7L. So the last advantage the VV7 has over the “bread and butter” Haval brand is its looks, but they are dangerously similar to the new H6. A lot of confusion, that WEY is decided to dissipate by selling WEY models in a completely separate dealer network. The big question will be to what extend WEY will cannibalise the existing Haval range. In June, only the H6 (35.171) and H2 (11.098) were above the VV7 (3.166), while the H7 (-41%), H5 (-32%), H8 (+72%) and H9 (+18%) fell way behind. It’s therefore a pretty solid start for a new brand, but Haval will want to reach higher targets. SWM launched its very first nameplate, the X7 SUV, back in September 2016 and has since found almost 55.000 new homes, a very solid success for a completely new brand. 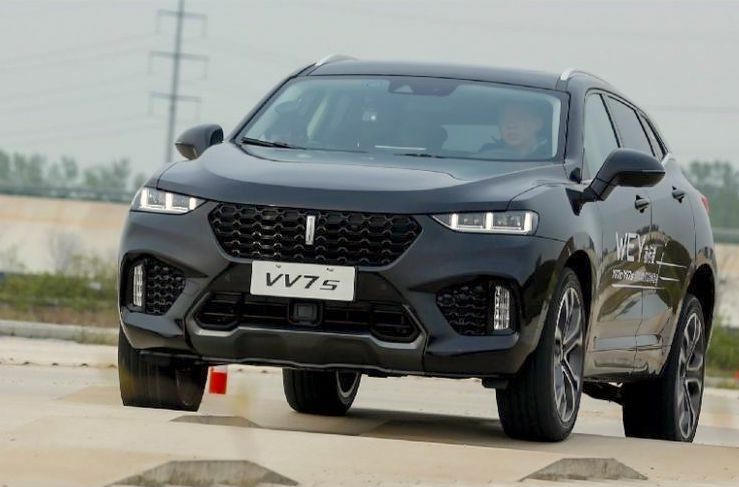 SWM is hoping to replicate this success with the smaller X3 SUV, looking like a cross with an MPV and a more modern Dongfeng somehow, pointing its bonnet in the cheap 7-seater SUV segment. Priced from 59.900 to 82.900 yuan (US$8,850 – 12.250), it competes with the likes of the Bisu T5, Changan CX70, Beijing Huansu S3, Lifan Myway and Dongfeng SX6. We could also add the Baojun 730 which, although an MPV, has variants that mimic SUVs the same way this X3 does. The X7 culminated at 7.168 units last December and the X3 will be the perfect test to see whether the brand can expand exponentially, launching more successful models one after the other. 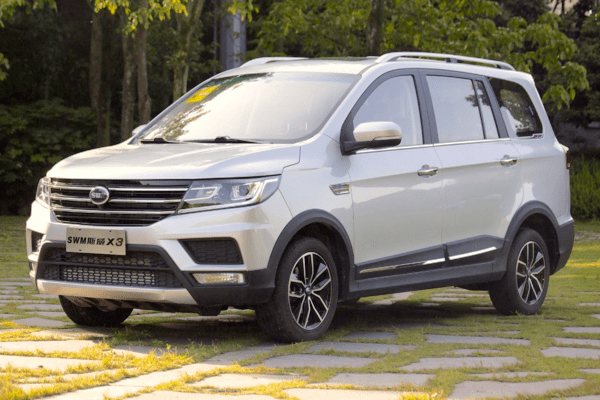 Given the scores of the Changan CX70 (pb 15.225) and the BAIC Huansu S3 (pb 20.868), this segment’s potential has clearly not been exhausted and hasn’t been invaded by dozens of offers either. Conservatively, we will put the X3 bar for success at roughly 60% of the X7’s personal best. Dongfeng has launched a new EV brand, Junfeng, which local publications can’t seem to agree whether full-blown brand or a sub-brand, a subtle distinction as always in China. Launched at the Shanghai Auto Show in April 2017, the ER30 is based on the very slow selling Venucia R30, itself based on the 2010 Nissan March. The Junfeng logo is a reworked Donfeng badge with a blue dot in the middle (in China blue means green). The ER30 appears elevated in the manner of a crossover. It is powered by a 80hp electric motor for a 115 km/h top speed. Autonomy is 250km. The ER30 is built in cooperation with SKIO with the ER30 listed under the skio.cn website as well as the diandong.com website. Confusing? Welcome to China! 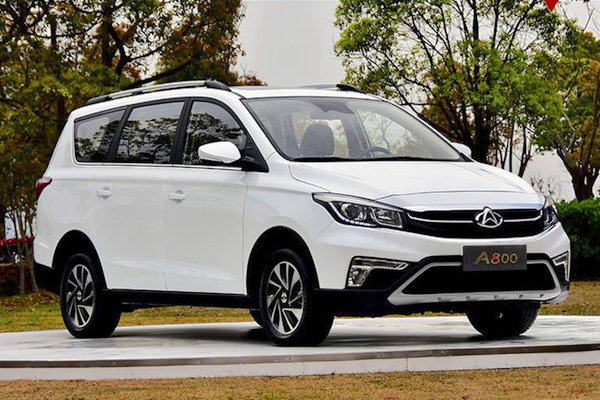 The only new MPV to enter the Chinese sales charts this month, the Chana Oushang A800 is hoping to build on the tremendous success of the Chana Oushang which sold 170.511 units since its launch in December 2015 but has fallen below 6.000 units over the past three months. While the Oushang was priced between 56.900 and 70.900 yuan (US$8.400-10.500), the A800 starts where the Oushang ends: from 69.900 to 119.900 (US$10.300-17.700). The A800 is 4.81m long and is powered by a choice of 125hp 1.6 and 154hp 1.5T. In fact, the A800 is a redesigned Changan Linmax, launched last February, same size, using the same platform and engine. The Linmax has peaked so far at 5.232 (last May) while the Oushang has a personal best of 16.070 in January 2017. Autohome.com.cn sees it compete with the cheaper Baojun 730, the Dongfeng SX6 and the Baojun 310W (for wagon)… In this context, the bar for success has been placed in line with the Linmax rather than the Oushang. 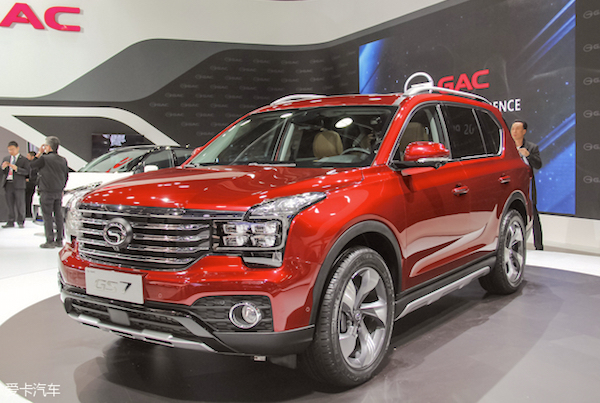 An instant blockbuster with just under 60.000 sales in 8 months and a pb of 10.032 last March, the GAC Trumpchi GS8 7-seater has redefined success in the large Chinese SUV segment, and has stabilised at a very high level. 8 months after its introduction, GAC Trumpshi launches the identically-designed but smaller GS7 5-seater. Priced from 155.800 to 229.800 yuan (US$23.000-33.950), only marginally lower than the GS8 (163.800-259.800), Autohome.com.cn has it compete against the Haval H7 (149.800-193.800), Roewe RX5 (99.800-186.800), Zotye SR9 (108.800-169.800) and the Haval H9 (209.800-272.800). 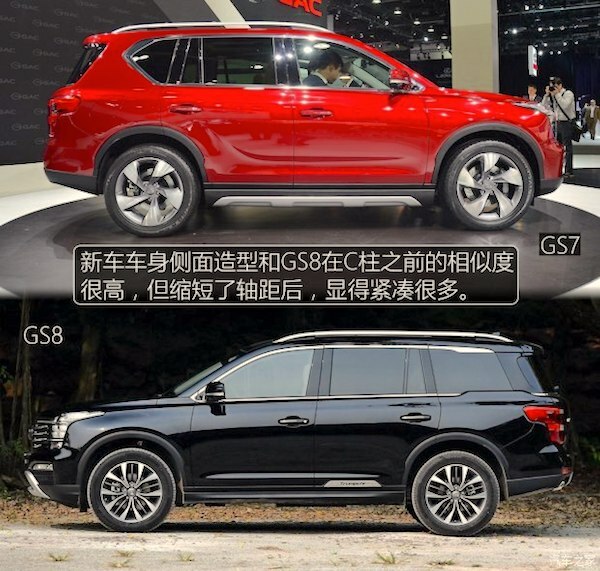 GAC Trumpchi GS7 and GS8 comparison. A frequent stake currently triggered by the multitude of SUV launches by Chinese brands is cannibalisation. Will the GS7 kill the GS8 the same way the edgy Baojun 510 annihilated the dated 560? It’s unlikely as their design are virtually identical. This will be a good test of popularity for 5-seater SUVs vs. 7-seater. With the relaxation of the 1-child policy in China, 7-seaters are becoming the norm, so this GS7 may fall short. The GS7 shares the same engines as the GS8: a 201hp 2.0T coupled with a six-speed auto. The GS7 is a 4WD called i4WD. Also new this month: BAIC changed the way it reports EV sales, now featuring EU-Series, EV-Series and EX-Series, and Hawtai launched the EV160 small electric hatch. 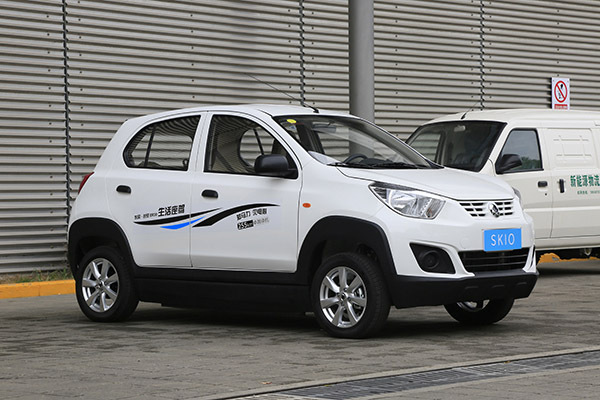 China LCV January 2013: Wuling Hongguang snaps up top spot! When the Renault Espace will be launched in China? There are no plans for an Espace launch in China at this stage. Thank you very much for this cristian – I hadn’t seen this before.